How much art there can be in all the small ways of living. Sometimes we get lazy, but I think the effort spent in putting an ironstone bowl of pine branches on the table is well spent. And getting out the fragile grandmother china is worth it too. Often we do not bother to use the small gracious touches, and it is a pity. For no matter what heaven may be like, there is no use just waiting for it. I'll take mine now, with an open fire and apples toasting on a stick and good friends gathered around the hearth. Bowls of popcorn, and nuts to crack while the talk is merry. Much of my most memorable reading in the late 1990s into the 2000s was written by the late Elizabeth Peters. I love the Amelia Peabody series and am quite sure that in some parallel universe Amelia, Emerson, Ramses, and Nefret are living out their lives. I suspect that some of their quality of 'realness' is due to the narrator Barbara Rosenblat. I listened to all the books, in the days when I'd rent tapes from Recorded Books. I'd listen before bed, and upon awakening during the night, and I'd listen in the car. I wrote about my feelings quite extensively in a book report on A River in the Sky; and I jotted down a few notes when I reread Crocodile on the Sandbank last summer. I learned so much about Egypt and the world of archeology because of the author's great knowledge. There was a period of time when the lives of Ramses, David, and Nefret paralled those of my own children. Elizabeth Peters began an ingenious device as the children in her books grew older. She offered their points of view of the same events that Amelia had told us about. If you've ever been a parent of teenagers, you will understand it was quite harrowing to read just how different those experiences were. While Amelia thought all was fine, the kids would be leaving a boat and swimming to shore in the wee hours, or disguising themselves and getting into all sorts of trouble. It was reassuring, but fear-inducing at the same time, as I wondered about how much I really knew of my own children's lives in those worrisome years. The author wrote other series under different names, but this is the only one I read. Her real name was Barbara Mertz, and I was so saddened to read of her death last month. It felt like a friend had left my world. There's a wonderful pdf here of the celebration of her last birthday. Also, the official website is a font of information. NEW YORK — Barbara Mertz, a best-selling mystery writer who wrote dozens of novels under two pen names, has died. She was 85. 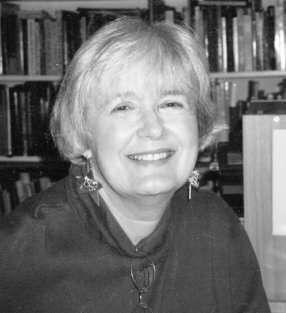 Mertz died Thursday morning at her home, in Frederick, Md., her daughter Elizabeth told her publisher HarperCollins. Mertz wrote more than 35 mysteries under the name Elizabeth Peters, including her most popular series about a daring Victorian archaeologist named Amelia Peabody. She also wrote 29 suspense novels under the pen name Barbara Michaels, and under her own name, she wrote nonfiction books about ancient Egypt. 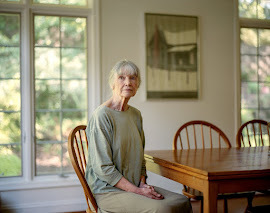 Born Barbara Louise Gross, Mertz grew up in small-town Illinois during the Depression and went to the University of Chicago on scholarship, where she wrote on her website, "I was supposed to be preparing myself to teach – a nice, sensible career for a woman." But her true love was archaeology, and she soon found herself drawn to the department of Egyptology. She received a Ph.D. at the age of 23. In the post-World War II era, she wasn't encouraged to enter the field. "I recall overhearing one of my professors say to another, `At least we don't have to worry about finding a job for her. She'll get married,'" she wrote. She did, and while raising two children, she decided to try her hand at mystery writing. It wasn't until the family moved to Germany – and had the luxury of household help – that she wrote something that attracted an agent. 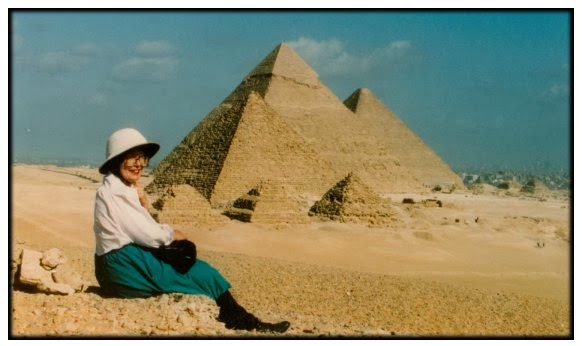 She wrote two nonfiction books about Egypt under her own name before having her first fiction published, "The Master of Blacktower," under the Michaels name. "When my agent called to say I'd sold a novel, after I calmed down, she told me, `You'll need a pen name,'" Mertz told The Associated Press in 1998. 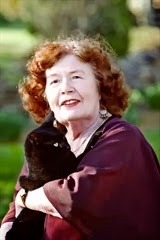 Barbara Michaels became her pseudonym for a series of books in the supernatural, Victorian gothic genre. "When I wrote a different kind, the publisher said I'd need another pseudonym," she says. "There's always the notion people are going to use the nasty word prolific about you." 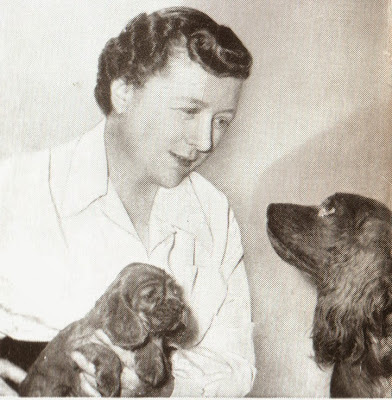 Under the Peters name – a combination of her children's first names – she produced several mystery series, including 19 books about Peabody. When the series began, with "Crocodile on the Sandbank" in 1975, Amelia pursued her adventures while pregnant. The series continued until her son, Ramses, was grown. 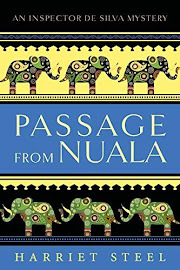 "Between Amelia Peabody and Indiana Jones, it's Amelia – in wit and daring – by a landslide," Paul Theroux wrote in a New York Times appreciation. 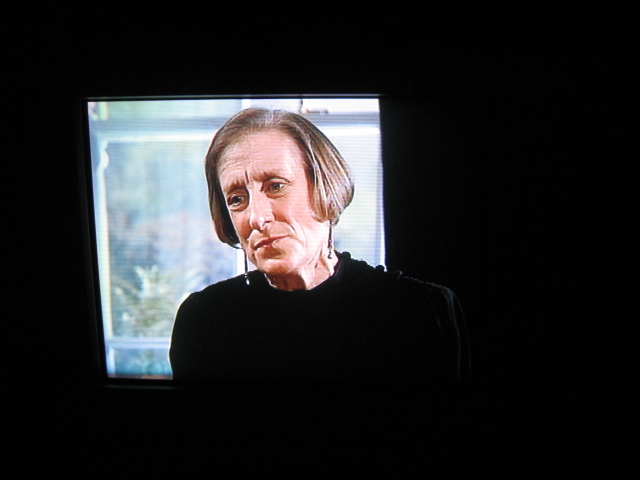 Mertz described the character to the AP as a sentimental woman who solved mysteries by guessing but nonetheless thought of herself as logical: "I want to kick her sometimes." As she wrote about her forceful heroine, Peters said she became more like her. Once, she said, "I was mealy mouthed, timid, never spoke up, let people push me around." 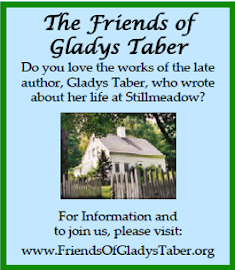 She divorced in the 1970s, but continued her fiction writing despite financial concerns. 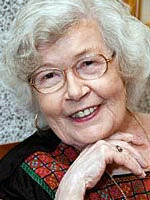 In 1998, Mertz received the grandmaster lifetime achievement award from the Mystery Writers of America, the top award from the mystery writers group. 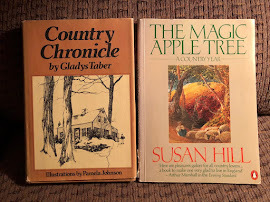 "It has taken me over a quarter of a century to realize that I love to write, and that this is what I should have focused on from the beginning," she wrote on her website. 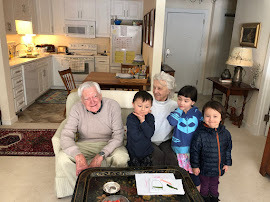 Mertz is survived by her children, Elizabeth and Peter, and six grandchildren. My mother says I’m lucky. had walked all over her face. from your father’s side of the family,"
she says, "the Italian side. It’s all that olive oil. "Look at your Aunt Rosa. 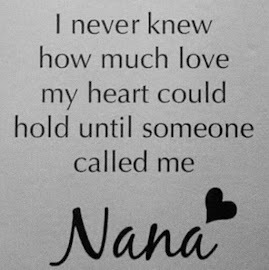 they all do, heaven knows why. Don’t let them do it to me." First published in Ilya’s Honey Spring 2004 and Nerve Cowboy Spring 2006. These words perfectly describe the way I feel about people I have met via the internet. You see, I lead a quiet life and I rather like it that way. Having your handprints in cement outside Grauman's Chinese Theater may be some people's idea of enjoyment but I'm far happier with a good book and the shipping forecast. But I am rather pleased to learn that I have a Plantagenet face. Off and on for over thirty years, I volunteered for Meals on Wheels. This government program brings a daily meal to the elderly in their homes. I knew that in some cases, I might be the only person they would see that day, and I took my visits very seriously. I didn't just put the meal on the table or into the person's hands. I would linger a while, chatting and checking in on them. I learned early on that these visits are much more than just dropping off food. It is the personal contact which is important. I was aware though that not everyone did it the way I did. The program actually didn't 'encourage' us to stay too long. There was one memorable day when I visited the turquoise trailer on a lonely hill as I did every week. This day, no one answered the door. I walked around, peering into the windows and saw the old man lying on the floor. It turned out that he was dead. I remember a former professor who came out to greet me each time in a suit and tie. And the cheery wife of a man who couldn't walk anymore. There was a highly educated woman whose living room had upholstered chairs with antimacassars who taught me something every time I stopped by. There was a woman who used to work in the Connecticut tobacco fields. I was reminded of my work as I read Bailey White's story. 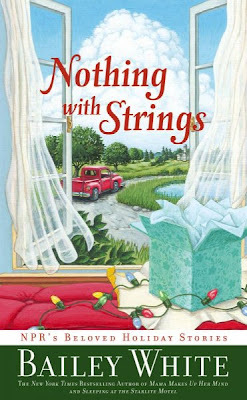 We meet Ida in her house where the morning glories have begun 'nosing in between the screen and the window frame.' They have fairly taken over the living room leaving purple stains on the furniture when the flowers drop off. "Why don't you just cut them off at the window and drag the vines away?" said the Meals-On-Wheels girl. "This purple will never wash out of your slipcovers." The Meals-On-Wheels girl irritated Ida sometimes with these thorough and practical suggestions. "Why don't you just …" with the just implying that it would be the simplest thing in the world for any person of even the most meager intelligence, and only an old fool would not know what to do when Heavenly Blue morning glories came into the house and stained the furniture purple. "How was your day?" just like she always did. All Judy really wanted to know was if Ida was still alive and well enough to answer the telephone. There was always a sigh of relief from California after Ida's hello, and the "How was your day?" was just extra talk really. Then another person comes into her life - a new Meals-On-Wheels girl. She brings life and conversation and activity and interest into Ida's world. She really talks with Ida, not at her. She looks upon the morning glories and thinks they are beautiful. She doesn't just set down the meal with the enclosed plastic cutlery. She opens the cupboard and gets one of Ida's own plates, which I suppose haven't been used in a very long time. Ida is delighted to see the old dishes again. One day the girl brings her a homemade cake. "Just because you are old, that doesn't mean you should have to eat this goop," she said, and threw the Meals-On-Wheels Jell-O into the garbage. She sits down with Ida while she eats, and tells her own story of how she used to cook for prisoners, and baked them their own individual cakes. When Ida tells her daughter, Judy responds just as you might expect. "She sounds like a nice little friend for you, Mama." "You couldn't pay me to eat an egg cooked by Richard Nixon!" It had been a long time since Ida had kept anyone company. It felt good to sit and talk about just anything at all. And then the old Meals-On-Wheels girl returns after her months-long illness. Bailey White is one of the most compassionate writers I've read. She is never unkind toward her characters regardless of their status in life or their degree of eccentricity. 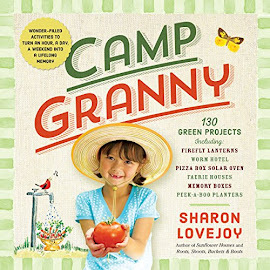 I have loved her books Quite a Year for Plums, Sleeping at the Starlite Motel, and Mama Makes Up Her Mind. She tells an annual Thanksgiving story on NPR, and you may listen to them if you go to the site and type 'Bailey White' into the search bar. I came upon a simply wonderful video of an interview with Bailey White. If you don't know her work, this is a great introduction and if you already love her writing, you will so enjoy this conversation with her. When I was a little girl, my mother and I always watched an afternoon television soap opera called As The World Turns. The phrase came into my mind today after I read that Mia in Norway was thinking of giving up her blog. You may read her words and all 153! (so far) comments here. She has brought up a subject the world is talking about these days - does blogging have a future in light of all the new ways to communicate. I was recently told by a twenty-something friend that blogs were old school, and that I should get an Instagram account. I quietly defended my choice to stay with blogging. It is clear from all your comments that many, many people love your blog. It is a meaningful oasis in this busy, busy internet world. All the things you mentioned FB, Twitter, etc. are flash, are quick, are easy. But they aren't deep. Blogging is for the deeper life- the thoughtful, slow approach. There is a place for both in the world, and it will sadden me if bloggers give up their blogs. There is so much clutter on the internet, and blogs such as yours offer a refuge. A quiet place of beauty. I do not read blogs on a reader so can't comment on that. I just come over as if I were visiting a friend. Sometimes I leave a note, often I don't. But I am refreshed and renewed when I see your photos and read your words. The blogs that I read, and there are a lot of them, are works of art. Really. They are also works of passion. Sometimes that passion is about gardening. Sometimes it is about old mysteries. Sometimes it is about food or family or knitting. Whatever the blog is about, it is written with care. The reader can tell that thought and time has been put into the writing. There's a place for a quick picture, and heaven knows I have lots of posts with just a photo or two, but there's also a place for considered writing. Thoughts that come out after being pondered for a while. I like the deliberate pace of a blog. I like slow food, and I like slow living. I may be out of step with a world that is becoming increasing frenetic but I think that perhaps readers, introverts, alternative people are never quite in step. Ever since the world began there have been books or songs bemoaning the fast pace of that current world. I get great solace from old songs and novels because I often see how very little life has changed. There is always a new thing. There is always a flashier car or house to covet. I see maturity as the ability to accept the new without necessarily giving up the old. I'm no Luddite but I don't embrace every new technology that comes along. I guess what I should say is that I may embrace it, but I don't let go of the old simply because it isn't new. I do have a smart phone which I adore. I do not have an iPod. I listen to my music on CDs or burned CDs from my iTunes or on my turntable. I have a computer but not a laptop or iPad. I have Apple TV but no 'regular' TV anymore. 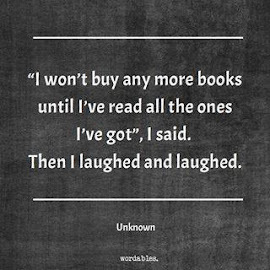 I love my Kindle and my print books. I don't like an either/or world. People may be on Facebook and Instagram and also keep a blog. There is room for it all, and it is up to the individual which gets the most emphasis. I'd love to hear your feelings about this subject.